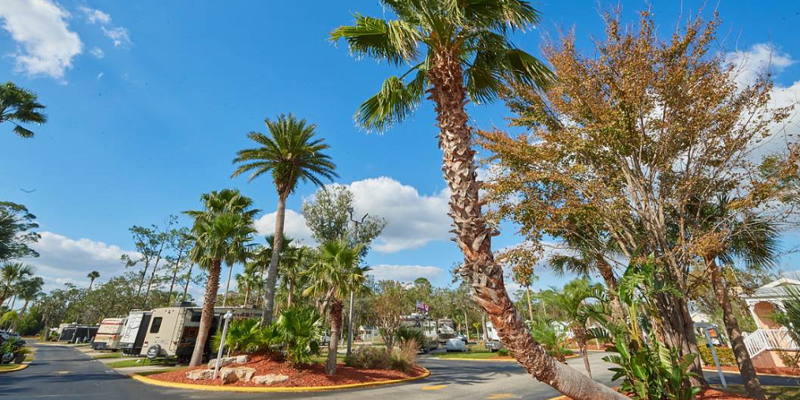 Tropical Palms RV Resort is a part of the Encore campgrounds system and it’s one of our favorites! This campground is definitely number one for us in Florida, even if they give only no-sewer sites for Thousand Trails members during high season. Other than that it’s a very neat, clean, nice campground, with a nice warm pool and many activities happening.